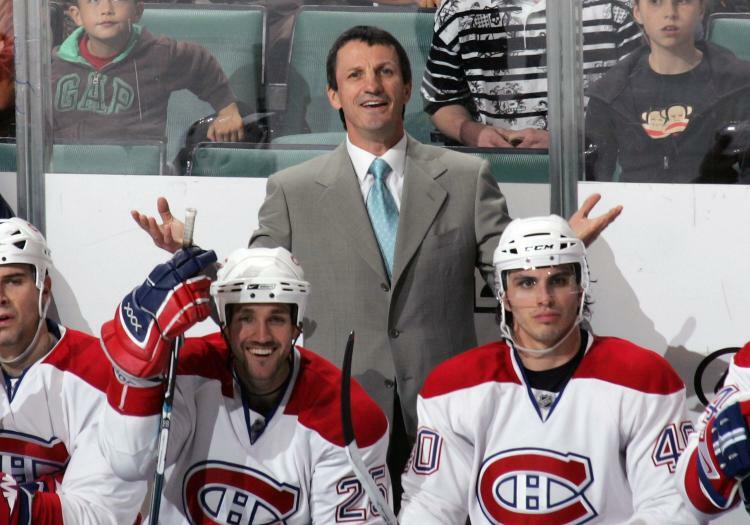 The Montreal Canadiens, hockey’s version of the New York Yankees, fired their head coach Guy Carbonneau Monday afternoon and GM Bob Gainey will take over behind the bench against the Edmonton Oilers on Tuesday night. In a stunning turn of events, Gainey fired the man he once called “my best decision” in hopes of maximizing the Canadiens’ chances of making the Stanley Cup playoffs. In their 100th season, the Canadiens were expected to go all the way and win the Stanley Cup after finishing first in the Eastern Conference last year and bolstering their team this year. That expectation is now gone after a dismal run of form (losing 10 of 13 games starting in late January) has seen the Habs fall to fifth place in the East after an 8–1–1 start to the season. Carbonneau, a Quebec native, was the captain of the Canadiens in 1993 when Montreal last won the Cup. Gainey spoke at length about the team’s lack of enthusiasm and inconsistent play.